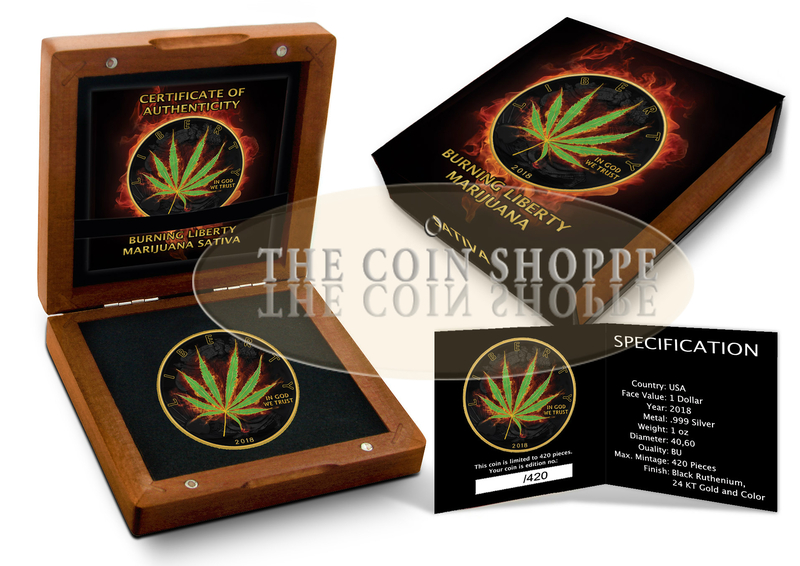 ONLY 420 PIECES WORLDWIDE ! 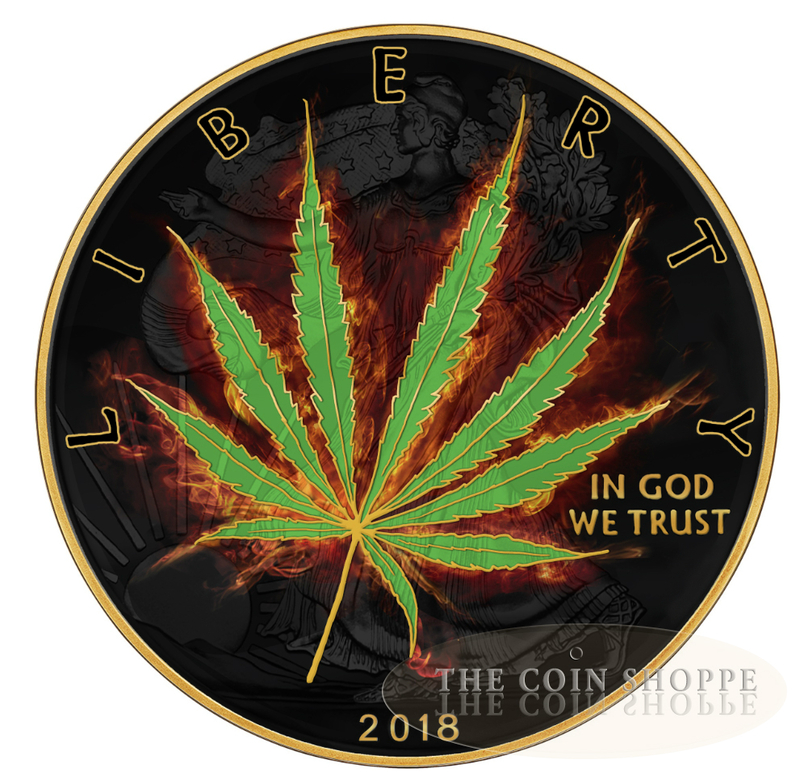 We are happy to present the first coin of the series “Burning Liberty Marijuana” – Sativa. 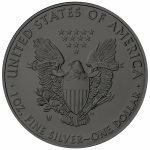 This silver coin has been fully plated with Black Ruthenium, and 24K gold gilding, and color. 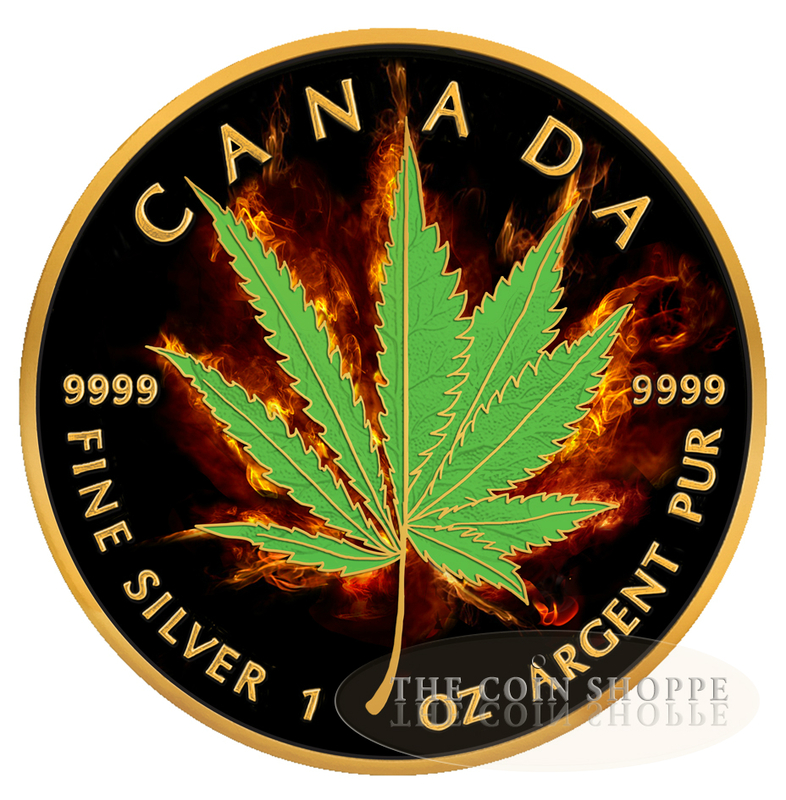 The coin’s obverse depicts a burning sativa leaf gilded in gold. On top the inscription “LIBERTY”, with “IN GOD WE TRUST” on the right. On the bottom of the coin the inscription “2018”. The coin is completely plated with Ruthenium and partly with pure gold. On the coin’s reverse you will see the design by John Mercanti that portrays a heraldic eagle behind a shield; the eagle grasps an olive branch in its right talon and arrows in its left talon, echoing the Great Seal of the United States; above the eagle are thirteen five-pointed stars representing the Thirteen Colonies. This series is going to have an extremely low mintage of 420 coins, which is of significance to the Marijuana culture. depending on the purpose of its use. 420, 4:20, or 4/20 (pronounced four-twenty) is a slang term that refers to the consumption of cannabis, especially smoking cannabis around the time 4:20 p.m. and smoking and celebrating cannabis on the date April 20. April 20 has become a counterculture holiday in North America, where people gather to celebrate and consume cannabis. Some events have a political nature to them, advocating for the legalization of cannabis.